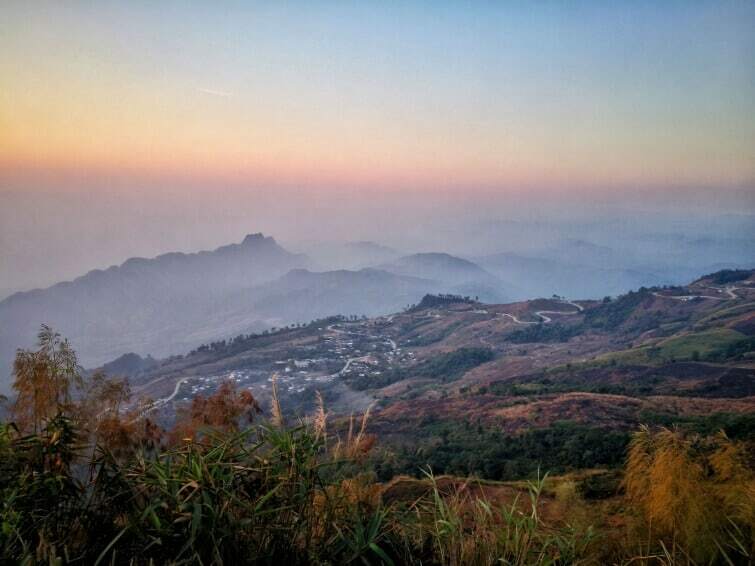 Phu Thap Boek / Phu Tub Berk Mountain can be found in Phetchabun province. Phetchabun is in the lower part of northern Thailand. Phu Tub Berk is the tallest mountain within the province, with a height of almost 1,800 metres. As you journey higher up the mountain you can feel the temperature getting cooler and cooler – make sure you take a sweater, especially if you are planning on spending the night at one of the campsites on the mountainside. The mountain is home to many people from the Hmong ethnic group. They make a living from farming, and you’ll notice many stalls selling locally grown fresh produce. Many Hmong people wear their traditional dress, and it’s not uncommon to spot groups of small children wearing their customary clothes as they run and play on the mountain. One of the main products is cabbages and, although this doesn’t sound too interesting at first, seeing the stretching cabbage fields really . The cooler temperatures are also good for growing strawberries. It is possible to go into some fields and you’ll certainly get some great there are also many flower fields that look really beautiful when in bloom. Picture below taken during sunrise, about 0700 local time. 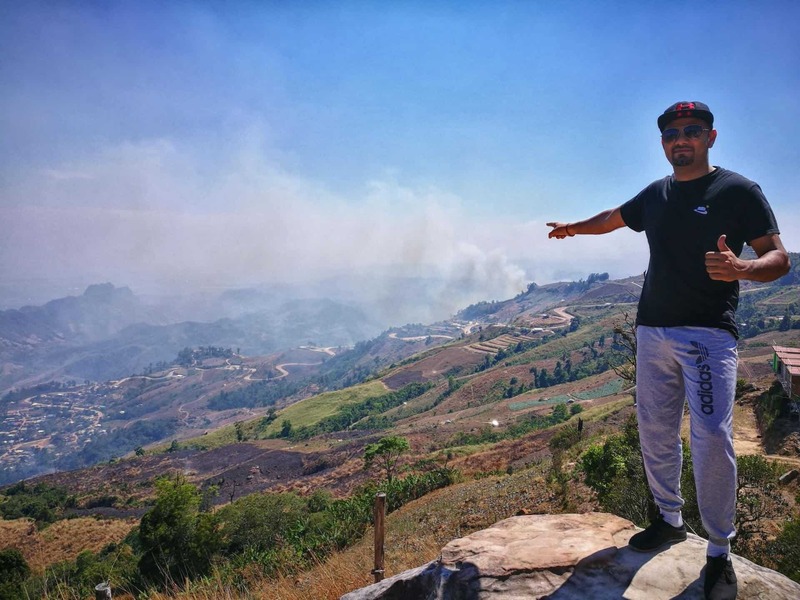 There are several other places of interest not too far away, including the popular Khao Kho, another mountain that is well-known for its lovely views and Swiss-style resorts, waterfalls, lakes, and temples. The video below is taken on a dry season, first week of March 2017 when I rode up to this mountain. If you want see the clouds below you, the best time to go here would be from November to January. 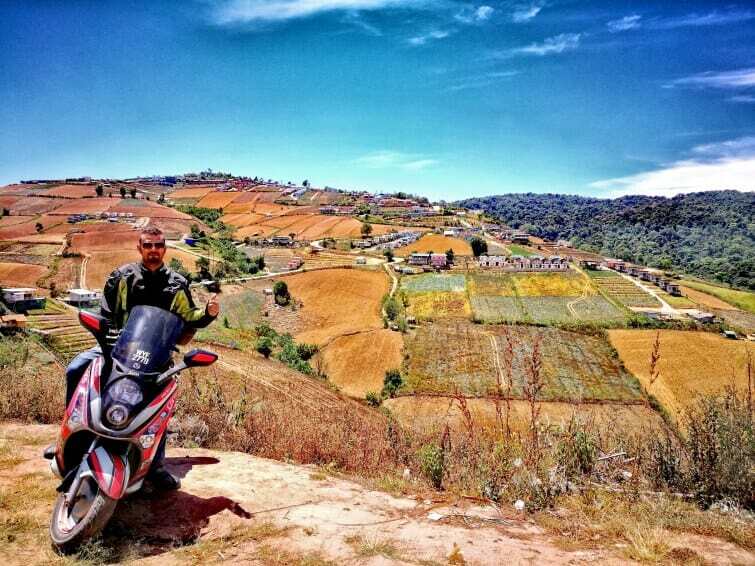 This trip was part of my 6 Nation’s Borders Ride which I rode and clocked 8033KM on my 171CC scooter. If you have any questions, drop them at the comment box below and feel free to share this article via the social buttons which can be found at the top of this page.